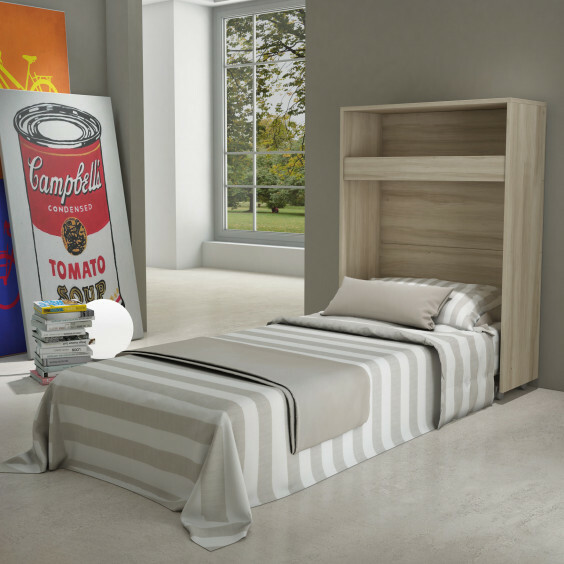 Link Bed 539 is a cabinet convertible into single bed with slatted base and mattress included, also equipped with a useful internal compartment. 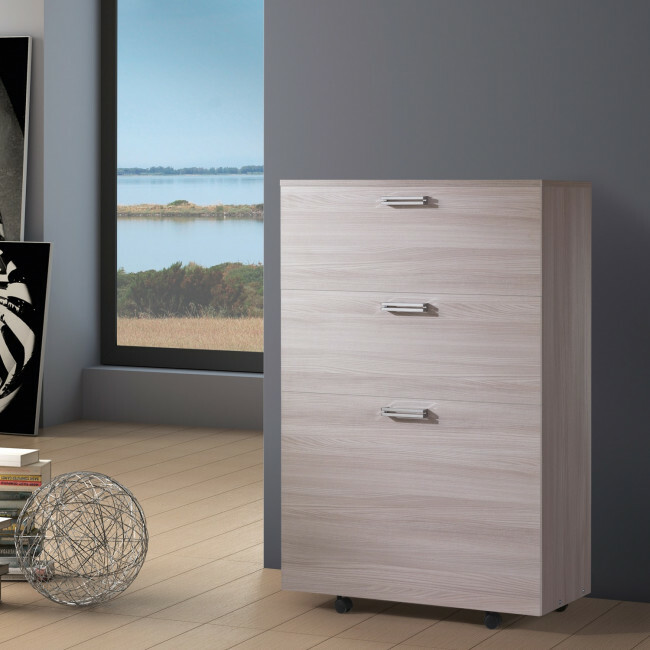 Link 539 is a folding murphy bed that when closed looks like a chest of drawers: a space-saving solution that can be placed everywhere and easily moved around the house thanks to its swivel casters. 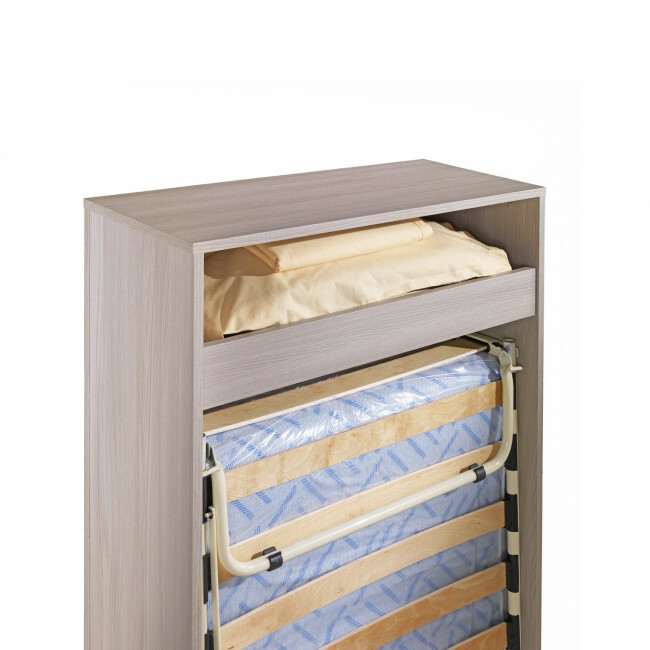 When open the cabinet provides a 10 cm high single mattress ideal for guests, or as an additional bed in a second house or in a vacation house. The internal compartment contains pillow and blanket, but it can become a useful shelf for books, smartphones, an alarm clock or a reading lamp. 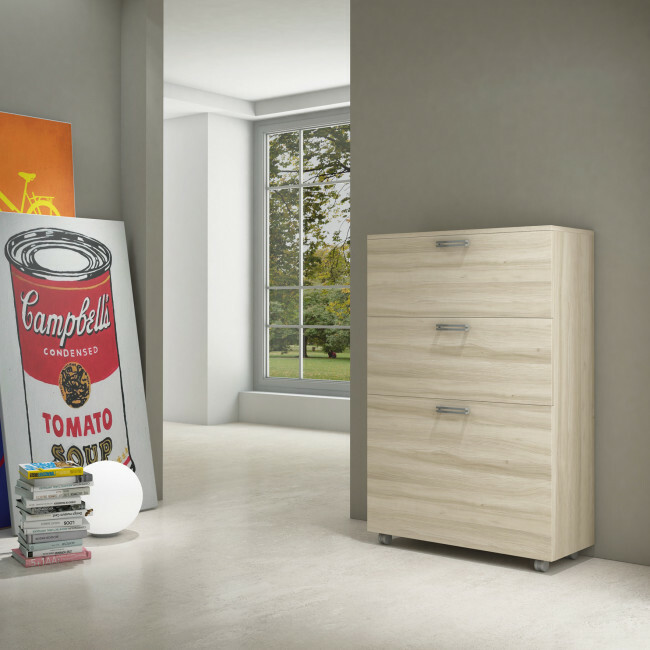 This cabinet transformable into a single bed can be integrated with Link shelving system, perfectly fitting between the bookcase columns. Use the product configurator to go through the available finishes and colours for the bed structure. 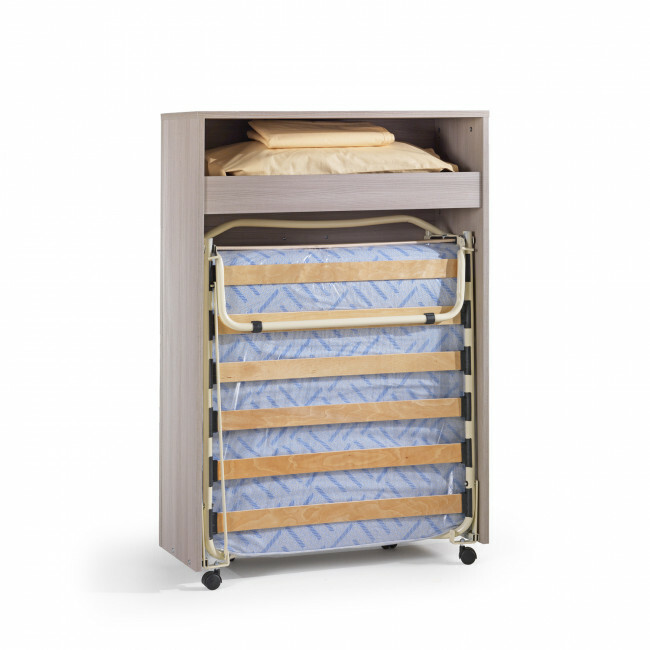 Link Bed 539 is equipped with swivel casters, it includes a compartment for pillow and blanket, a single bed base with wooden slats and a mattress. Link Bed 539 is a cabinet with a single murphy bed completed with mattress and bed base with wooden slats. It belongs to Link collection, a modular system with columns allowing to compose bookcases, shelving systems for offices including desks, wall systems for the living room, walk-in closets and kids bedrooms furniture solutions.